NAIROBI – News emerging from Kenya is that suspected terrorists have attacked a hotel in Kenya this afternoon. 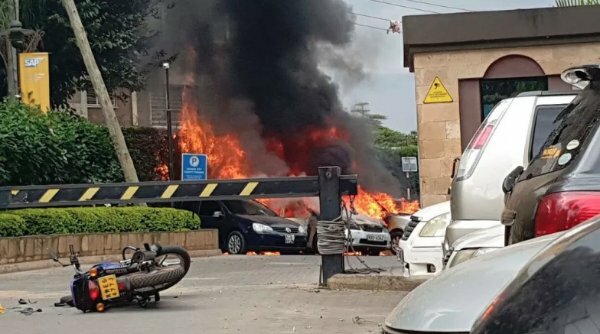 At least two explosions followed by sustained gunfire were heard at the compound in the Westland district of the city, which houses the Dusit hotel as well as offices, reports BBC. “I just started hearing gunshots, and then started seeing people running away raising their hands up and some were entering the bank to hide for their lives,” a woman working in a neighbouring building told Reuters.